Holiday Cards, Holiday Place Cards, Holiday Note Cards from William Arthur/Crane & CO. at Hyegraph Embarcadero San Francisco! 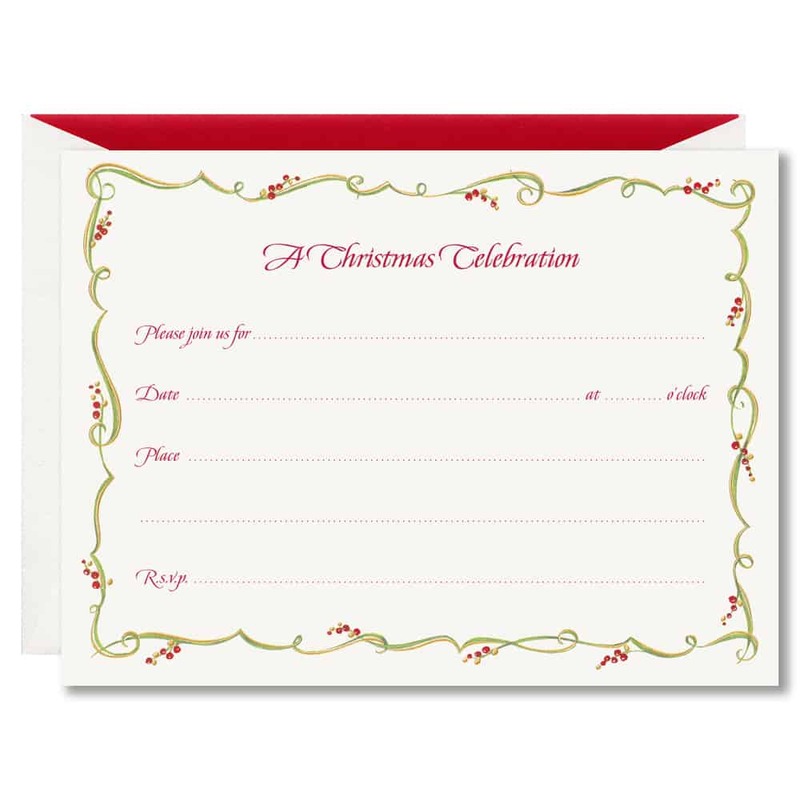 The above Christmas fill-in invitation is the “Gilded Berry Vine”. It is thermographed and comes with red lined envelopes. The quantity is 10 flat cards with matching white and red lined envelopes retails for $22.00 per box set. 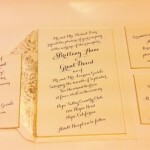 You can have your invitation envelopes addressed by Jacques with Hyegraph’s Digital Calligraphy. 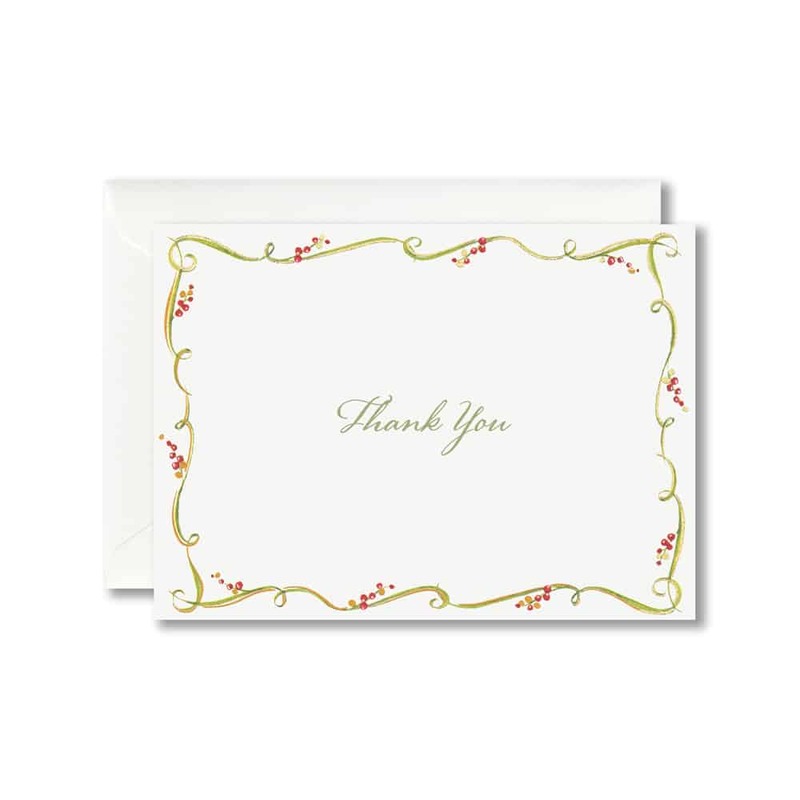 The above Holiday Thank You Card is from William Arthur, it matches the Christmas Invitation. The card is bordered with Gilded Berry Vine. Comes in a set of 10 cards and 10 envelopes retail price is $16.00 per box. “LET’S EAT, DRINK AND BE Thankful, PLEASE JOIN US FOR” reads the invitation card above. It is engraved with a copper Turkey icon. This beautiful card come in a set of 10 with matching cream envelopes and brown lining. Retails for $16.00. To add Calligraphy for envelope addressing see our Calligraphy Fonts. 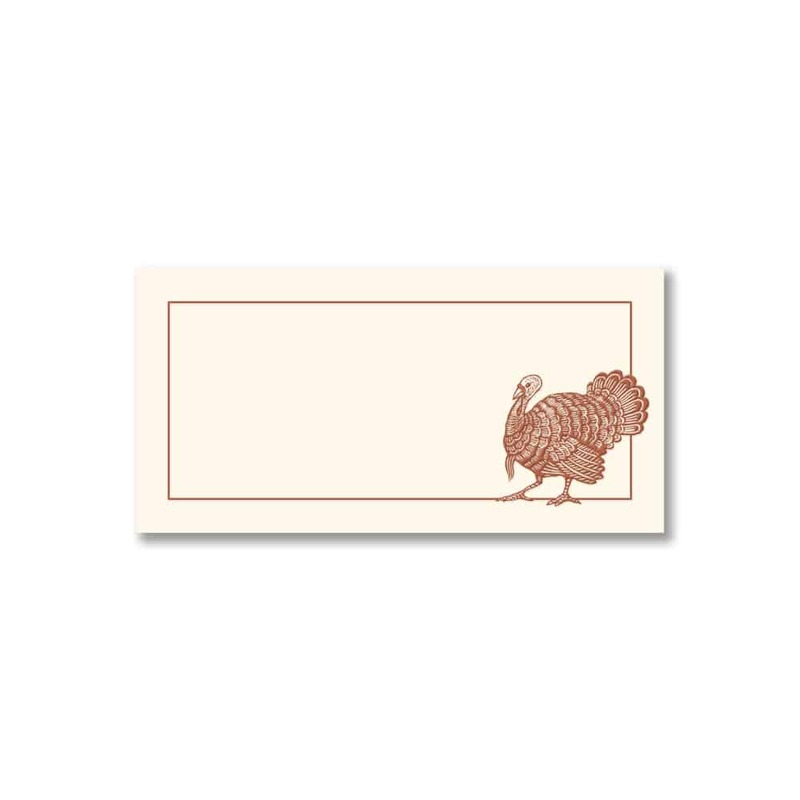 The above engraved Thanksgiving Turkey is in copper with a copper border surrounding the ecru tent style place card. 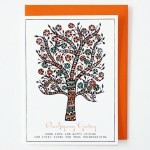 Perfect to go with the Thanksgiving invitation or on it’s own for a fun Thanksgiving Day dinner party at home. 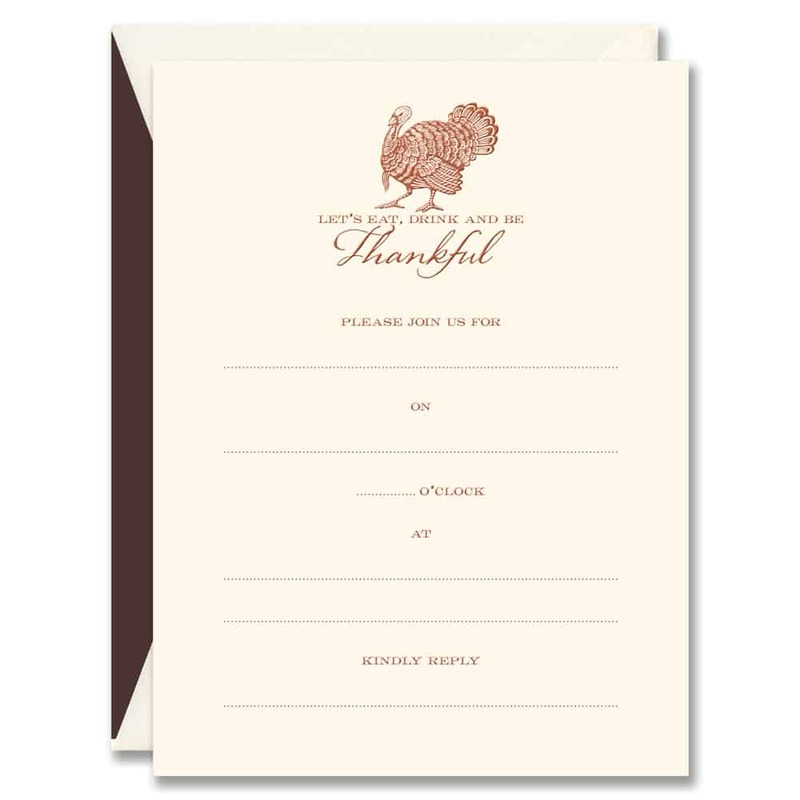 These turkey place cards come in a pack of 10 cards and retails for $8.00. To have your guests’ names inscribed on the place card simply see our Calligraphy Page! Gold Hand Bordered Holiday Place Card from Crane & CO. 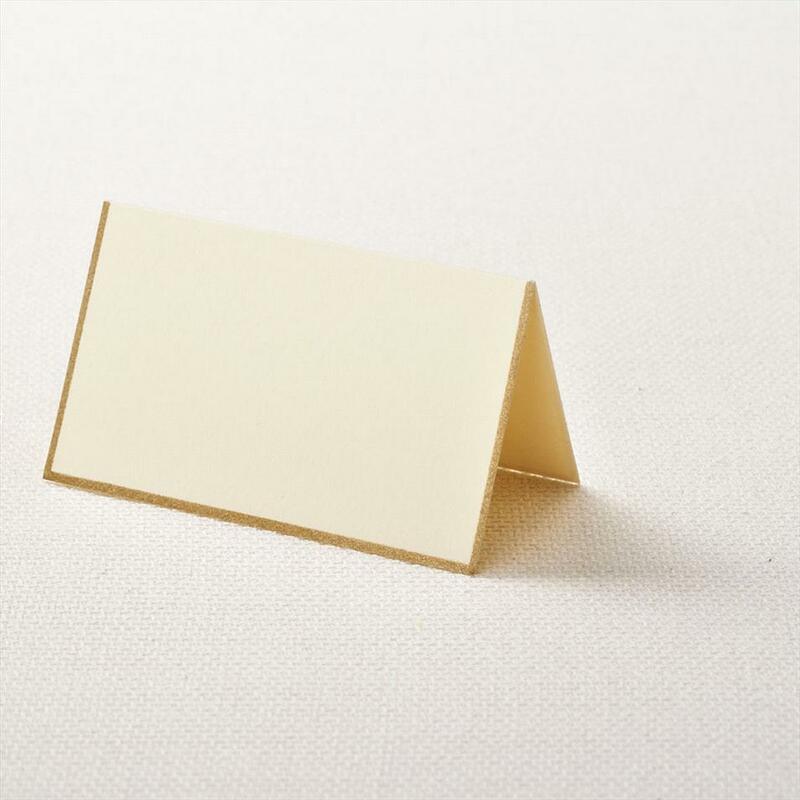 The above Gold Hand Bordered Ecru White Place Card is perfect for the holiday season. Whether entertaining guests for a Christmas Party or a New Years’ Eve Dinner, these will come in handy to assign seats for attendees. These place cards would also serve very nicely for a holiday wedding party. It comes in a pack of 10 place cards and retails at Hyegraph for $9.00. 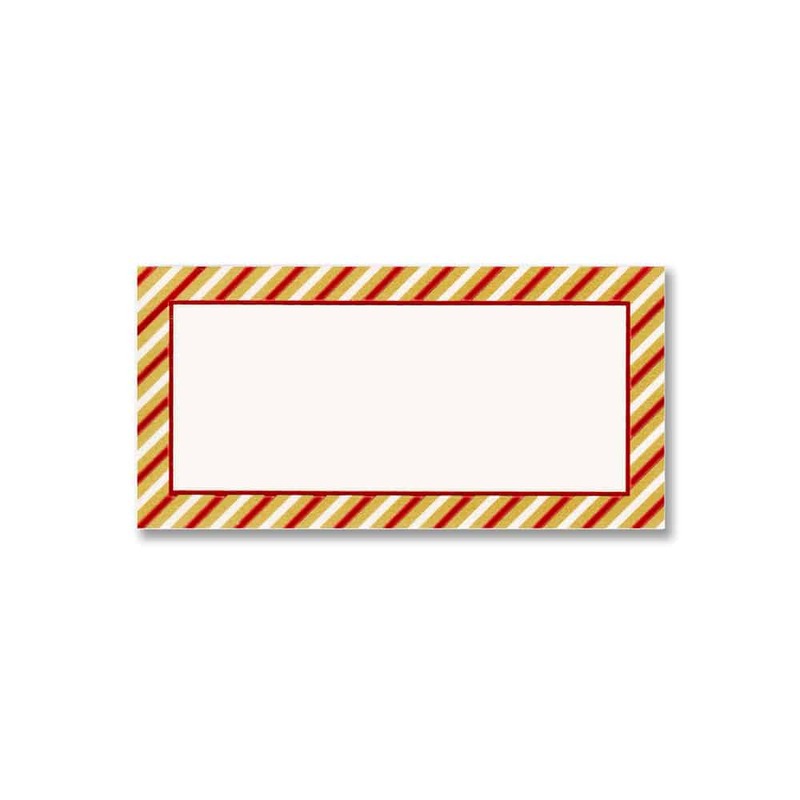 The above holiday candy cane place card is fun, colorful and bright. This is great for a company holiday party or any other type of holiday function. This holiday foil stamped place card is tent style, comes in a pack of 10 cards and retails at Hyegraph for $8.00. You can have your holiday place cards printed with Hyegraph’s Digital Calligraphy Service. Please see our Calligraphy Page.